The birth and explosion of limited-overs cricket in the 1970’s demanded a tournament to determine the world’s best. From the moment the coveted trophy was lifted in the first final in 1975, the cricket world was hooked. The ICC Cricket World Cup is now the flagship event of the international cricket calendar, engaging one fifth of the world’s population. 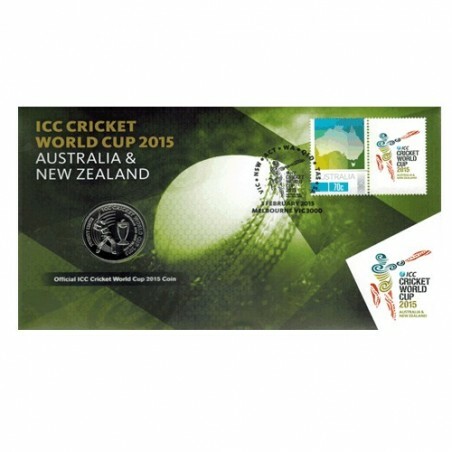 The 11th edition in Australian and New Zealand in 2015, who last combined to host the tournament in 1992, has shaped yet another epic chapter in cricket history. 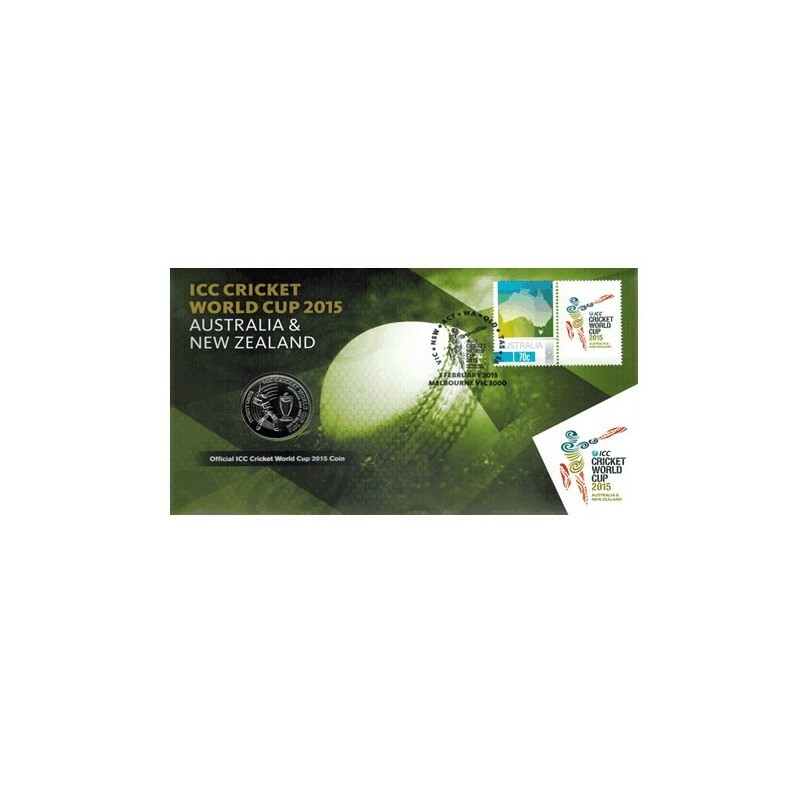 This Limited Edition Coin and Stamp Cover features a commemorative 70c Australia Post stamp and is postmarked first day of issue 3rd February 2015. Advertising Date : 3rd February 2015. Release Date : 3rd February 2015.